Amélie’s Larder aims to help and inform other par­ents, whether Gluten‐free or not, about Coeliac Disease and that life can still be enjoyed by every­one! Even as a baby Amélie had a little bloated belly that never went down, this con­tin­ued as she grew into a tod­dler. Lots of people passed it off and thought that she would grow out of it. However, I always felt there was some­thing wrong. At the age of two Amélie was start­ing to be sick. Just once a week at first but it quickly pro­gressed to every other day. Frequent vis­its to the doc­tors res­ul­ted in a con­tin­ued dia­gnosis of a virus. As time went on Amélie was in excru­ci­at­ing pain. She did not have the energy to move, stopped walk­ing, talk­ing and looked dread­ful. Her daddy and I felt totally hope­less as we watched Amélie slowly deteri­or­ate in front of our eyes! The final straw came when the doc­tor sug­ges­ted it was a beha­vi­oural prob­lem! After months of worry, trauma and frus­tra­tion we took Amélie to the Bristol Children’s Hospital and prac­tic­ally per­formed a ‘sit‐in’ until our pleas for help and fur­ther invest­ig­a­tion were heard. We were listened to, blood tests were taken and a month later an endo­scopy was per­formed. 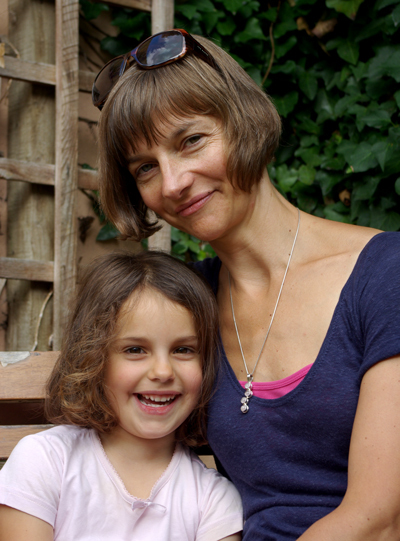 At last a dia­gnosis of Coeliac Disease was given and we could start to move on. “What’s Coeliac dis­ease?” That was the first ques­tion I asked after we had been given the dia­gnosis. Little did I know that within a few months that ques­tion would be the main topic of con­ver­sa­tion and it’ s defin­i­tion would just roll of my tongue like an expert dieti­cian! No, it’s not an intol­er­ance or an allergy. It’s an autoim­mune dis­ease … Yes, it can be life threat­en­ing. Just one crumb can harm you … No, you can­not grow out of it. We were quite clearly not alone in our lack of under­stand­ing; the dif­fer­ence was we had no choice. We soon learnt which supermarket/food shops stocked which products but we were con­stantly amazed at the lack of qual­ity, espe­cially of cakes, bis­cuits, breads and pastries. Fortunately, I had stopped work­ing at this point, so, I was able to invest­ig­ate the Internet for help and inspir­a­tion. Wow! A whole new world opened up and we were not alone any­more web­sites, blogs, FB and twit­ters were just wait­ing with recipes, ideas and sup­port. So, this web­site is for all those busy, work­ing par­ents who don’t have time to trawl the Internet for that one spe­cial recipe. I am doing it for you and pla­cing all my find­ings here, on one web­site: Amélie’s Larder – No Gluten allowed! Do you have a gluten-free recipe, product or story to share? We'd love to hear from you!